This post originally appeared as a guest post on the SDR Huddle via Mike Duchen. If you are looking to break into tech, launch a startup, or accelerate your sales career, it is essential that you find great mentors that can share direct and actionable feedback to help you grow throughout your career. Techstars is the perfect example of why mentorship is so important and how it is done the right way. Techstars exemplifies everything that is good about having a strong mentor network. Outside of these strong mentor networks, it can be hard to find good mentors and most don’t realize that Techstars mentors typically work with specific teams and people going through the accelerators. If you think setting a meeting as an SDR is challenging, imagine starting your own business, finding product market fit, all while trying to raise money so that you can build your team and buy groceries store. If you are trying figure out how to find a sales mentor, it is important to locate the right person and engage with a mentor with specific goals ie. increase your outbound campaigns or get better cold calling. My hope in sharing the below is that it will help you to discover great mentors smoothly and for an ultimately more rewarding career development experience. When looking for your first mentor, look first to people that you have worked with in the past or for a referral from a trusted colleague. It can be as simple as having your first mentor be a past colleague that you know and can trust. Do not focus on landing the “biggest name mentor.” Usually the best mentors are the ones who are actually rolling up their sleeves and doing the work, and they aren’t blogging on LI just to get likes and comments. To be frank, the best mentors are people that know their sh*t and are willing to help others in a constructive manner. SDRs constantly make the mistake that they have to be mentored by those who are most active on social. I strongly disagree–your first/next mentor might be sitting across your current office. Go to sales meetups, events, hackathons, or anything that will give you the opportunity to meet new people in the community. Just like landing the SDR role, it takes effort and is a numbers game for achieving your goals. For example, if you are living Boulder, Colorado and starting as an SDR at Twitter, make sure to go to events at Galvanize or Boulder Open Coffee. The goal of any event should be to learn something new, but push yourself to approach the speakers, meet someone new, and ask them to coffee with a specific request, e.g. “ Would you be willing to connect for a 30 minute coffee? I am new to Boulder and learning sales. I’d like to pick your brain for how I can improve and am looking for new potential mentors.Would you be open to meeting next week?” Most senior level people want to give back, so don’t be afraid to ask! After the meeting: Send a thank you email and set next meeting. We tell all of our students in our free online Sales Bootcamp the importance of follow up after any coffee or interview. A mentor’s primary objective is to help you succeed, so unlike your friends and family members, they should not dust things under the rug just to spare your feelings. This may not be easy for your ego, but ultimately, you will learn the importance of having direct advice from someone that you can trust to help answer the tough questions or sales situations. Brutal honestly always isn’t fun, but it is key when engaging with your mentors. If you are meeting with mentors just to pump up your ego, then I’d suggest you re-evaluate why you want a mentor in the first place. In sales, a mentor isn’t a cheerleader; they are someone that can help solve problems, overcome challenges, and help you reach your goals. Finding a great mentor is key to accelerating your sales career. Most importantly, remember to thank your mentors for their time. Mentors are people too, so treat them like it. 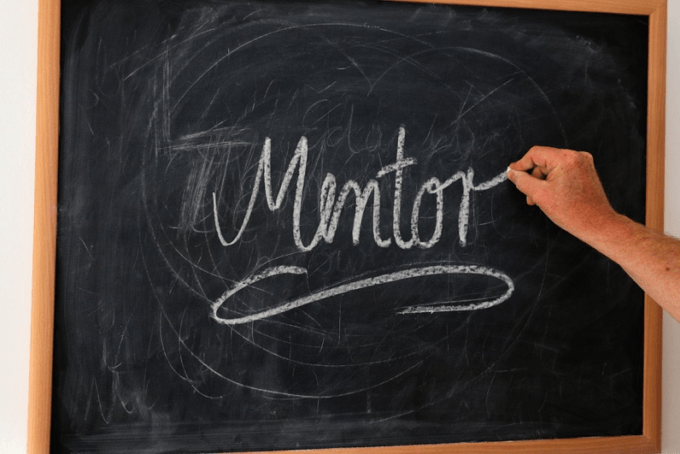 As you grow and advance with your own career, start to look for ways you can help mentor other new SDRs and give back by taking the time to help them and share the knowledge that your mentors have instilled in you to make your career more successful.